The City owns and maintains seven cemeteries including: Armstrong, Firestone, Hollywood, North Oakland, Oakwood, Rosehill, and Shiloh. Grave spaces are available to City residents at Armstrong, Hollywood, Rosehill and N. Oakland Cemeteries. 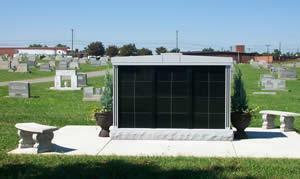 A Columbarium is located at the Hollywood Cemetery and is also available to City residents. Constructed of granite and black marble, it contains 48 double niches suitable for two cremains. Niches sell for $700 and the City pays for basic engraving.